SKU: 5150. 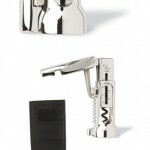 Categories: Premium Corkscrews, Pulltap Corkscrew, Pulltap Corkscrews. 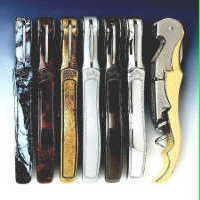 We have just acquired MOST OF THE ORIGINAL OLD STYLE PREMIUM CORKSCREWS! These extremely limited original Premium Pulltap corkscrews have been out of production for over 8 years. They feature contoured alloy molded handles and come in a variety of plated looks. These are the heavy duty ones; the ones wait staff seek out for their own uses. The boots and foilcutters are considerably stronger. Hurry, these are quite rare only a few are left. 4 – 5/8 in. We’re the only company to make the older Pulltap premium corkscrew available in gold, chrome, aluminum, graphite, & bronze to our customers. They LOOK GREAT! 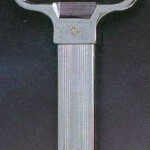 4 – 3/4 in. All sales final. Non returnable. There was always something special about the first release of these game changing premium corkscrews, They looked and performed great and lasted longer than any other corkscrew we have known. They have been out of production for at least four years now. We bought up everything that was left. We also have a few scratched and previously imprinted ones at great discounts. Please look them up on our inventory reduction and closeouts pages. 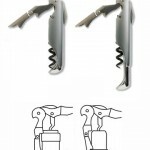 Be the first to review “PULLTAP Corkscrew – Old Style 5150 solid metal” Click here to cancel reply.